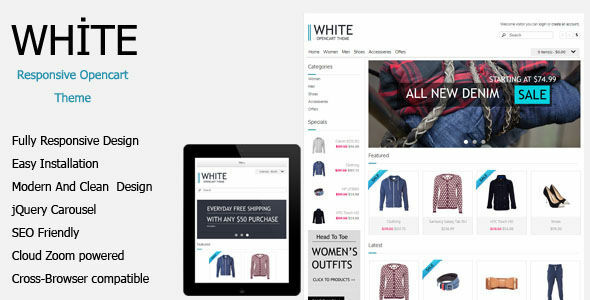 The White Simple Open Cart theme offers a clean and fresh design to professionally display your products. 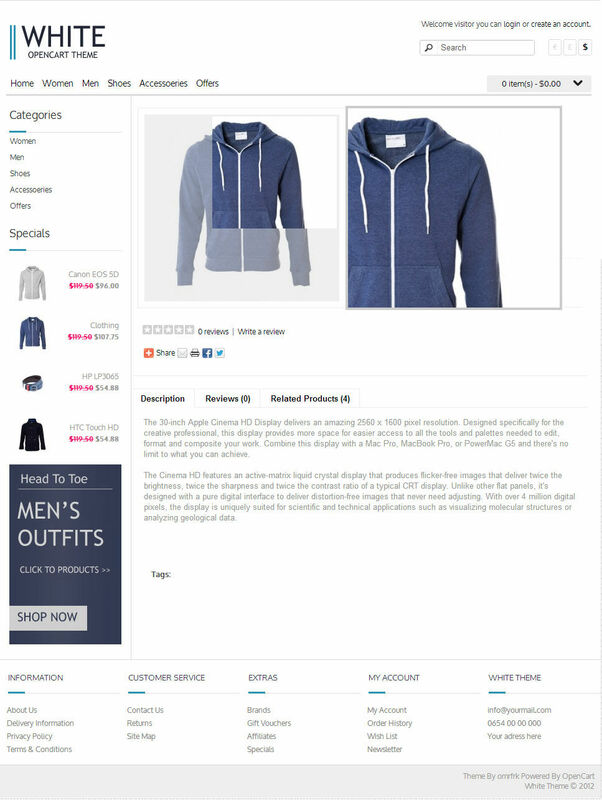 Below is a quick list of features included with this template! 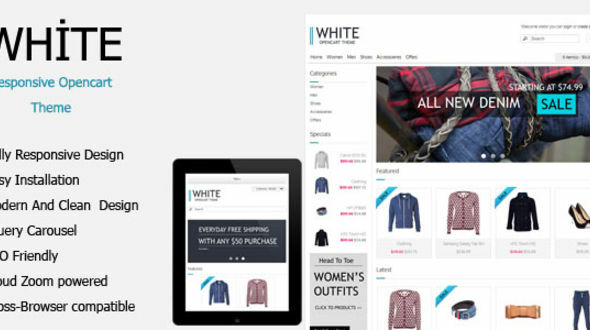 Responsive layout – you shop will appear nicely on every mobile phone (iphone, android, windows phone) and tablet.